I love these! When I was making them I just knew they were turn out great! Again, I strung silver crystals and light topaz-colored beads on a wire and wrapped them around the hoop to make these beautiful earrings. I loved them so much that I made two pairs! 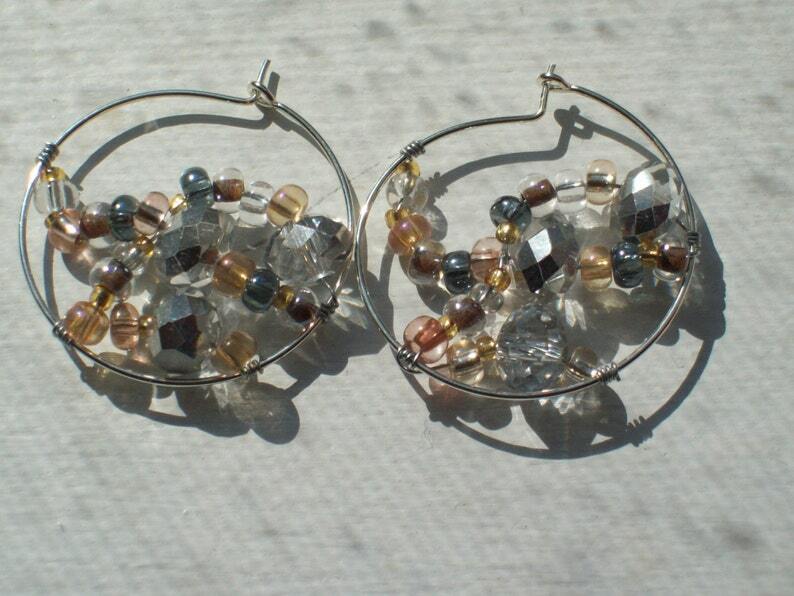 I picture wearing these earrings with a beautiful white summer dress or a white blouse. They would also add pizzazz to a black outfit.. They are very comfortable to wear and are attract compliments. When purchased, these earrings will be shipped in a padded envelope.